"Perhaps the most intellectually demanding choreographer now working in the Bay Area, [Webb] makes work which combines visual abstraction with the keen observation of human behavior." "Webb is a superb dancer and choreographer." Ellen Webb, Artistic Director of the Ellen Webb Dance Foundation, was raised in the Bay Area, where she first studied dance. 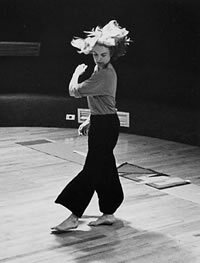 She attended Bennington College, then left for New York to study dance with Merce Cunningham and to perform with Carolyn Brown (1973-1975) and Douglas Dunn and Dancers (1976-1978), among others. During her 12 years in New York, Webb witnessed and participated in one of the most important eras of American dance—an era of intense innovation and rigorous experiment. Inspired by such vitality, Webb began choreographing in 1979 and quickly proved herself to be a prolific and challenging choreographer.She has created over 40 works, ranging from brief solos to evening-length pieces to experimental dawn-to-dusk performances. Her work has been presented throughout Europe and America, including such venues as the Kitchen, PS 122, St. Mark’s Danspace, and Movement Research, Inc. in New York City; the Los Angeles Festival; the American Center in Paris; the Dartington International Dance Festival in England; the Tanz ‘82 Festival in Vienna, Austria, and Zellerbach Hall in Berkeley, California. In 1982 Webb founded the Ellen Webb Dance Company, which performed in New York and on tour. She taught in and managed her own studio and also taught for the School for Movement Research. In 1984 Webb returned to the Bay Area, where she has continued teaching and performing, and began seriously studying yoga. In 1986, she founded the Talking Dance Project, an annual symposium series, which she co-directed with dance scholar David Gere. The following year, she re-established her company with acclaimed performances in San Francisco, Berkeley, and New York. Wanting to establish deeper roots in the community, Webb undertook the creation of a major dance studio, which opened in 1989. Located in West Oakland, the Studio provides a permanent home for the Ellen Webb Dance Foundation and is rented to the community for rehearsals, classes, and informal performances. Webb has served on the Cultural Development Steering Committee for the City of Oakland Strategic Plan. Her choreography was nominated for an Isadora Duncan Dance award in 1989, and both she and her Dance Foundation were just nominated for 1992 Oakland Business Arts Awards, given by the Chamber of Commerce to artists who have made a significant impact in their communities. A video of her Dance Company’s performance at the UC Berkeley Art Museum won the Golden Cassette Award of the 1st Annual East Bay Video Festival, sponsored by the East Bay Media Center. The tape was broadcast on San Francisco cable Channels 29 and 54 in November, 1991. 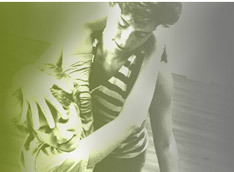 Watch excerpts of collaborations in dance between Ellen Webb and Sandy Walker, 1987-1995. See Ellen's 2013 performance with Trio 3 at the Subterranean Art House in Berkeley, CA.